Malling Abbey Mark Lodge No. 1425 held its annual Ladies Christmas Supper on Saturday 10th December 2016 at their local Masonic centre in West Malling. The occasion was well supported and greatly enjoyed by 50 Brethren with their wives and guests. The meal was the traditional Christmas fare with plenty of Christmas Pudding to go round. 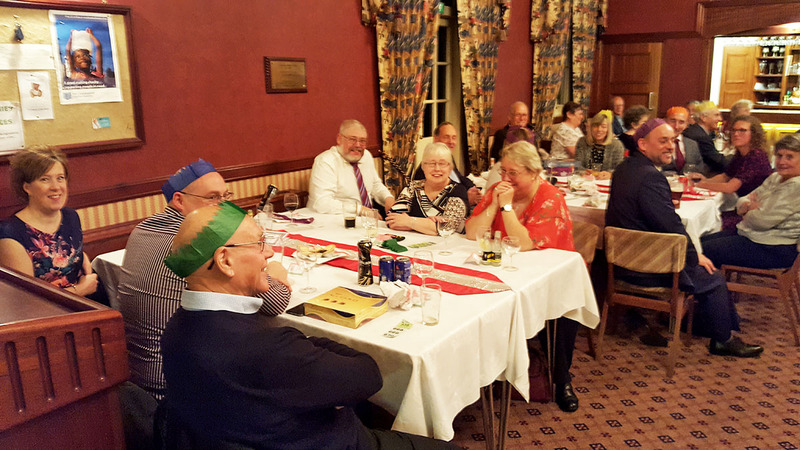 A raffle was held and raised £229, which the Worshipful Master, W Bro Norman Sands, decided should be directed to their local charity, Demelza House.